After living in Portland for a year it’s easy to see why cyclocross is such a thing here. There are a multitude of events close to town, and you have to drive past them to get to the trail head to ride mountain bikes. Of course it rains frequently as well, so you see plenty of guys out on fendered ‘cross bikes for winter training. In addition to the ‘cross scene there are a slew of gravel rides and events where the additional tire clearance of a ‘cross bike allows for bigger tires. 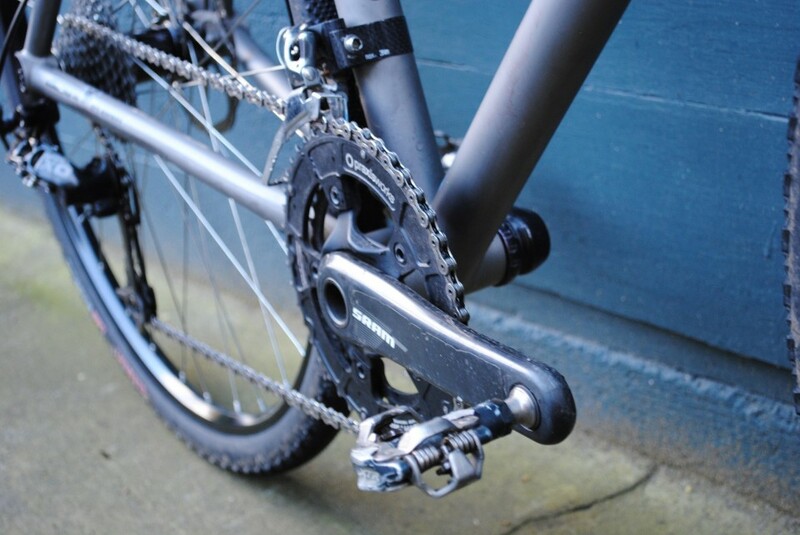 If you’ve paid any attention to modern trends you’ll know that gravel bikes are all the rage, so some folks will tell you that’s the tool for job. 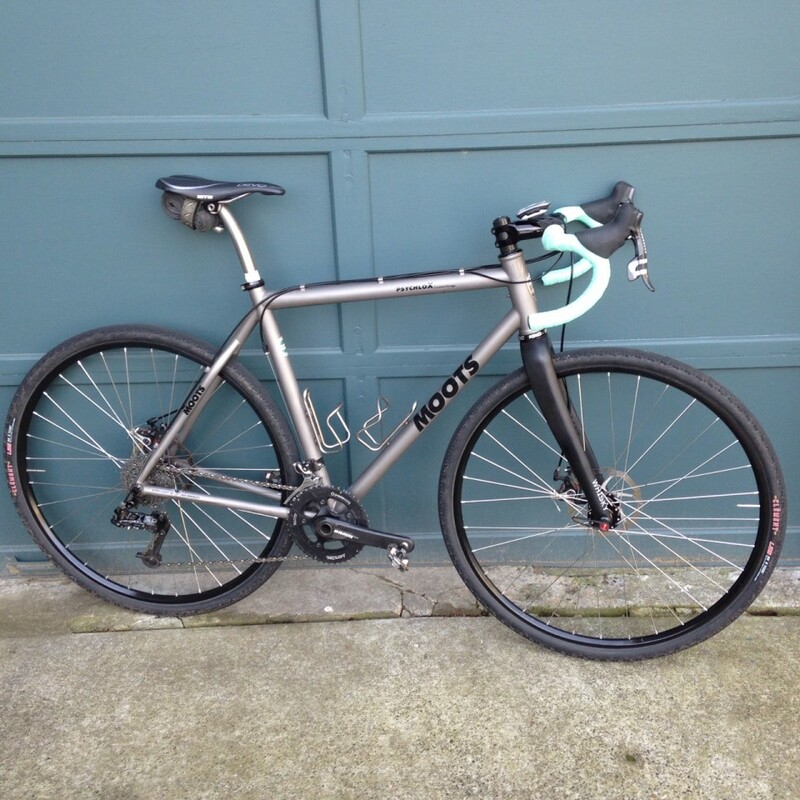 Moots makes several bikes that fall between endurance road and gravel/light utility so the decision pretty quickly came down to what I wanted the bike to excel at. Last summer I demoed a Routt, which was a remarkably smooth and comfortable bike. While it was not fast or snappy it was predictable, stable, and kept me from getting too beat up on the rough gravel sections. Even with thru axles front and rear it was not an overly stiff bike, a fact mainly attributed to its rangy chainstay length, and while I wouldn’t say it wallowed under power it did not lurch forward during out of the saddle efforts. So the Routt was fine, but not racy enough for my personal taste. And of course there’s the Psychlo-X RSL which with its flattened top tube is remarkably hot, if not overkill for my limited ‘cross needs. Fortunately this model year saw the reintroduction of the Psychlo-X with disc brakes and standard thru axles front and rear. Perfect. Through some collaboration with Michael at Moots we sorted out the custom geometry I wanted to make the bike more balanced for general use without taking away too much of the race capability. The changes were small but significant with a lower bottom bracket, slightly shorter than stock top tube and taller head tube. My goal was to get more “in” than “on” feel for stability at speed without taking away too much of the steering response necessary for taking sharp corners at walking pace which are common on a true ‘cross course. This thing has been awesome, and I’ll post more as I get more time on it.